Hi guys! I'm back this week with a minimal fall look that might just make you want to ditch the leggings or a day and grab a pair of...JOGGERS! I snatched these at Kohl's for only $10 bucks...and even better than the price, they are the perfect fall green. I have been absolutely loving earthy tones recently but my go to has been a white top with army green bottoms. Whether you find a pair of slim high-wasted leggings, a pair of comfy yet loose joggers or even a pair of green khaki pants you are pretty much set for fall. My turtleneck is from Forever 21 and my shoes are from Steve Madden. 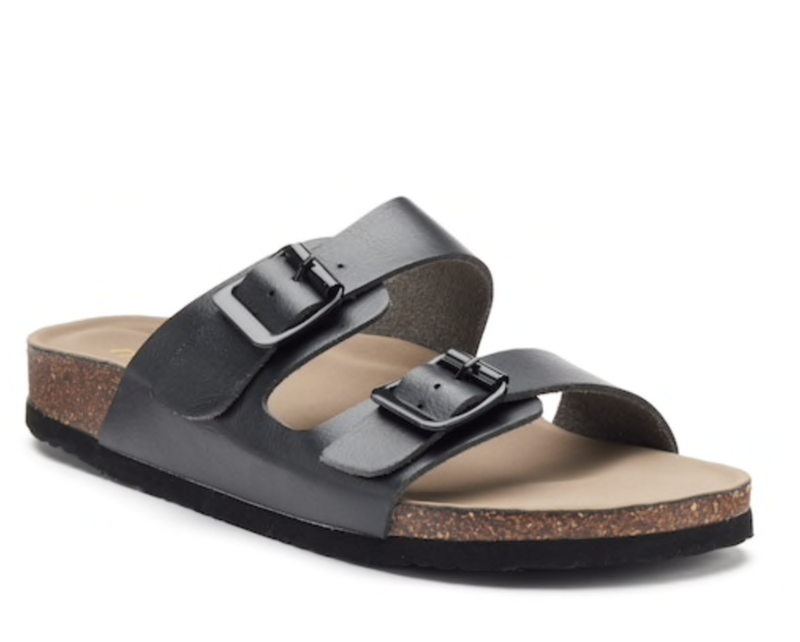 They are just as comfortable as a pair of Birkenstock's for half the price! Pair the look with a cute bag from Forever 21 and you are all ready to take on anything that the day throws at you!